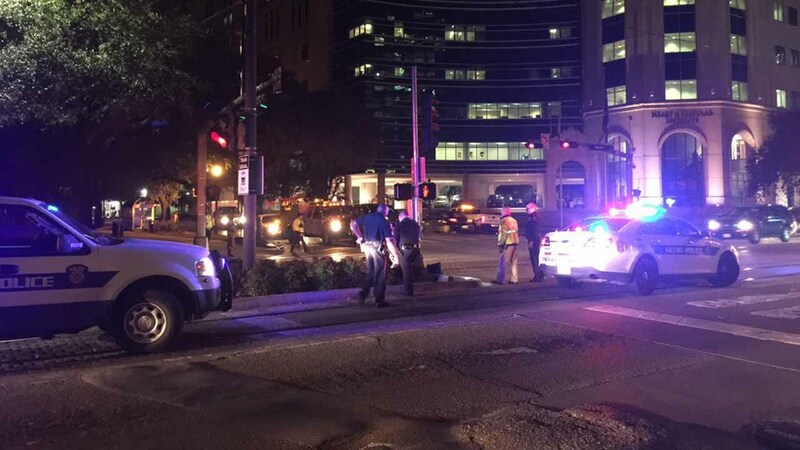 A pedestrian was struck by METRORail in the Texas Medical Center area. Authorities are investigating how the METRORail struck a pedestrian in the Texas Medical Center. The pedestrian was walking across Fannin on Cambridge when the accident happened. The pedestrian suffered a head injury and was awake and yelling when EMS arrived, but there's no other information about the victim's condition. Service in the area was stopped for a while as authorities investigated.